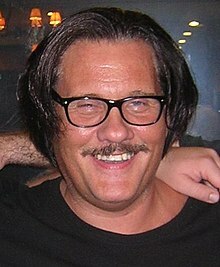 William Forsythe (born June 7, 1955) is an American actor. Forsythe played Al Capone in the television series The Untouchables. Forsythe has also played Sammy Gravano in the HBO movie Gotti and the serial killer John Wayne Gacy in Dear Mr. Gacy. ↑ "William Forsythe Biography". Yahoo!. Retrieved July 20, 2011. This page was last changed on 31 August 2017, at 14:59.